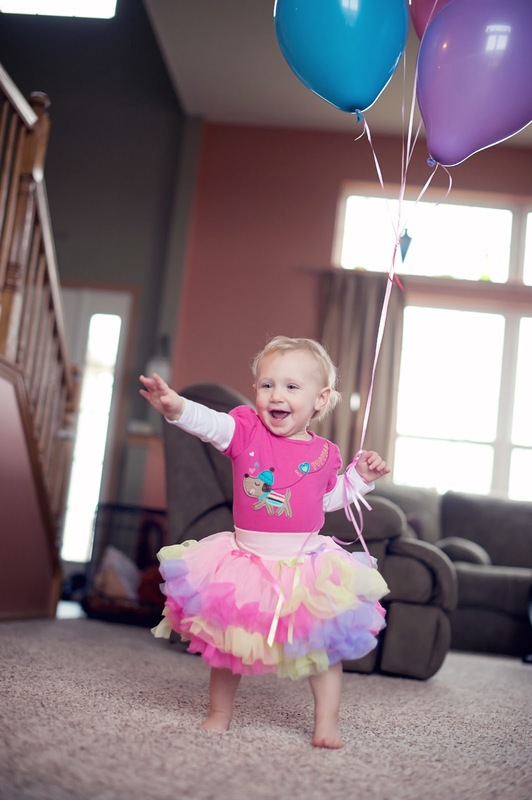 Today, January 10, 2011, Berger Transfer celebrates their 101st anniversary of doing business. With 101 years in the business, they must be doing something right! Congratulations to Berger on this great achievement. You set a great example for others and you are proof that "It can be done!" We are proud of you! October 2010, brought a repeat of this very story. This time though, the purchase looked like it was going to happen. Barrett's owner, Bob Eidsvold, decided to sell his moving company to UniGroup giant, Suddath. This time around, there were no press releases or news announcements. Rather, companywide emails announced the news just to employees and a conference call described each employees future of being transferred over from Barrett to Suddath in the new year. We were told that the sale was final and complete on 1/1/11. Barrett will continue operating under the name Barrett. Employees will keep their Barrett email addresses and business cards. Salespeople will continue representing the name Barrett, but Barrett will be known as "A Suddath Relocation Company." To date, we have not been able to find any official press releases or any information linking the two companies together. With a history as long and positive as Barrett's, the name recognition is undoubtedly one of the best assets Suddath purchased in this transaction. While we have seen MANY companies purchased by larger entities over the past 2 years, this is one of the largest purchases that has been made. For the most part, we have seen smaller companies sell off their assets and get gobbled up by much larger companies during this economic downturn. While Suddath is larger than Barrett, Barrett was still one of the larger United agents out there. The positive side of this purchase is that it looks like all of the employees have been able to keep their jobs and will move forward just as they always have. They really didn't skip a beat in their day to day work lives while the transaction was completed on paper. This purchase will give Suddath a presence in the northern half of the US and undoubtedly will aid in Suddath's continued growth as one of United's largest and most profitable agents. We wish all parties involved the best of luck in this new venture. Here is some good news based on the numbers of the last week of August. The latest data from the Commerce Department says that wages are flat but spending is up. While we are only talking about a 0.2% rise in spending, this is the third straight monthly gain, which is in line with economist’s forecasts. While personal incomes are laying flat for now, they are 2.4% below the levels of last year. EVEN BETTER NEWS – NEW HOME SALES ARE UP! The really good news is that new home sales are way up! In July 2009, new home sales increased by a whopping 9.6% which is the fourth straight monthly gain. Inventory of new homes is finally starting to shrink. An estimated 271,000 new homes were on sale at the end of July, a low not seen since March of 1993. Sales rose in 3 of the nation’s 4 geographic areas with an impressive 16.2% in the South. Sales fell only in the Midwest by 7.2%. It is predicted that buyers will continue to have the upper-hand in new home sales for the next 12-18 months. While summer 2009 didn’t prove to be exciting for many movers, it gave most movers enough work to get through the summer and save up for a slower winter. This wasn’t a big surprise as most people predicted that this summer would produce less than desirable results as far as revenues were concerned. While it takes time for a suffering and uncertain economy to mend itself, we have seen people become more proactive about taking positive steps to move forward and we predict that 2010 will be a better year for us all. Of course we are still in the business of recruiting top notch professionals for the moving and storage industry. While we have watched some of our competitors close their doors, we have worked hard to persevere forward and to put some creative energy in coming up with affordable solutions for our clients. Right now it’s all about the money and we recognize that. Of the nation’s dozen or so moving and storage recruiting firms, we have seen 3 get out of the business since the calendar opened in 2009. Others are pursuing other types of work as well, but we are proud to continue servicing this industry and to be able to work with our candidates and clients alike to put some of the most impressive candidates with some of the most impressive companies all while reducing both the cost and risk involved. Are you looking to hire? Do you need to add to your team? Do you need to upgrade your staff with some stronger employees and proven revenue producing salespeople? In a market like this, the company with the best talent will win. We are working with many very qualified candidates who are discreetly looking for new opportunities. You will find that in an uncertain market, the best candidates are concerned about the privacy of their search and therefore choose to work with a professional recruiter to help them source opportunities. 5 – Sales Manager, New York – proven ability to produce household goods sales and lead a team, looking for an opportunity to advance career as a manager in NY. 10 – Customer Service / Coordinator, Texas – 10+ years experience working in customer service and quality control, experienced in dispatch and accounting as well, Texas native looking for a more stable company. Are you looking for a new job? Would you consider a new opportunity if it meant working for a more stable company? There has certainly been talk about the exorbitant number of lay-offs, required furlough days off and drastic pay cuts. A new opportunity may afford you a better peace of mind, especially if your income is essential in taking care of your family. If you aren’t looking for a new opportunity, please still browse the list. You may be able to help out a friend by sending them in our direction. We always appreciate referrals. This candidate must be a sales oriented manager with van line experience and should have experience handling diverse business lines. This candidate should be operations oriented and be willing to work in a very hands-on environment. This candidate needs to be willing to work odd hours as needed. The company prefers someone who is bilingual and can fluently speak Spanish. This person should have experience with DOT, shipping, inventory and logistics. Click on “Add Julie Smith to your network” and I will gladly accept your invitation whether or not we have connected in the past. I am happy to network with and get to know new people in the industry each day. Everyone needs to have a good doctor, a good accountant and a good recruiter. Let me be your eyes and ears in the marketplace and discretely help you to find what you are looking for. It’s my job. It’s what I do and I do it well. I am committed to delivering results and will help you in any way I can. As we come to a close at the end of this 3rd quarter, I wish you the best in wrapping up your year and for a very positive and productive 4th quarter. I have received several phone calls about this issue yesterday. The full article is below. The company that was fined $305,000.00 by the GA Public Service Commission is called Atlantic Relocation Inc. This company is in NO WAY related to Atlantic Relocation Systems, agents for Atlas Van Lines, and headquartered in Atlanta, GA. Please see the article below for complete information on this matter. unanimously approved a recommended fine of $305,000 against Atlantic Relocation, Inc. of Atlanta, Georgia for operating as a household goods moving company without proper authority from the Commission. The Commission found that the Company, operated by Mr. Yair Knafo, had conducted 61 illegal intrastate moves without proper authority and levied a civil fine of $5,000 per illegal move. The Commission staff discovered the illegal moves during an audit of the Company on September 4, 2008. Staff presented this evidence during a hearing before a Commission hearing officer on September 26, 2008. The hearing officer recommended the civil penalty of $305,000 which the Commission adopted today. You can find more information on this issue under docket number 28097 on the Commission web site, www.psc.state.ga.us. While doing some searching earlier, we found that many of the moving and storage companies who have television commercials have posted those commercials on YouTube. We are excited about this because having a moving and storage blog, we can post these videos directly to the blog for everyone to enjoy. As you will find below, we have embedded several video links. Just click on the main picture and watch the short video. We hope that you enjoy this new feature on our blog! This is just for fun, but at 2 minutes, 12 seconds into this clip - Bekins gets their name mentioned. Enjoy! 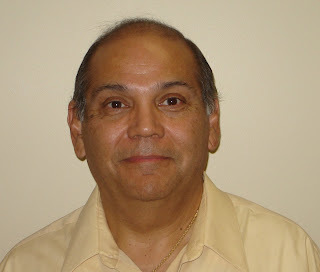 July 15, 2008 – John Alianello, Vice President of Agency Development for Bekins Van Lines announces its’ newest full service agent, John C. Murphy Moving & Storage. John C. Murphy has two offices: 20 Branch Road, Brewster, NY (their corporate office) and 458 Danbury Road, New Milford CT. Their locations provide relocation services to families and corporations in Fairfield, Litchfield and New Haven Counties in CT and Westchester, Putnam, Dutchess, and Rockland Counties in NY. John C. Murphy serves as President, with Frank O’Brien serving as Vice President of Operations and John C. Murphy, Jr. as Sales Manager. Dircks Moving, Logistics and Real Estate has revamped and added new features to www.dircks.com. The new site features customer resources such as a shipment tracking method through Mayflower.com, pricing information and other tools to assist with a comprehensive move for any type of customer. “Whether someone is moving homes or uprooting a business, Dircks realizes the importance of enabling our customers with all of the tools necessary to complete their move. Dircks.com delivers these tools as well as provides easy navigation throughout the site”, said Dircks Marketing Manager Alexis Extract. The current Chairman of the American Moving & Storage Association, the national trade association for the moving industry, and a 37 year veteran of the moving industry, including tenures as President of two major Van Lines, will be joining Bekins A-1 on June 16, 2008. Bekins A-1 Movers is the largest agent for The Bekins Holding Corp., has been providing quality household goods relocation services since 1982. More information on Bekins A-1 Movers can be found on the company’s website at www.bekinsa1.com, or by contacting Beverly A. Jones, Assistant to the President. Bekins A-1 has grown to become Bekins Van Lines' largest agency family with 19 full-service locations around the country. Bekins A-1 Agency Family of Movers have developed a proven commitment to service excellence for our customers. Rich Reinert has been hired as a National Account Manager. Rich comes to Dircks with several years of sales and sales management experience in the moving industry. He had spent the past 5 years with McCollister's Transportation Group in Phoenix and the previous 11 years at Atlantic Atlas. May 23, 2008 – Hillside, IL – Mike Petersen, President & CEO of Bekins Van Lines, LLC is pleased to announce the appointment of Robert Martin as Senior Vice President of Business Development. Mr. Martin brings to the position over 30 years of extensive industry experience in general management and sales at both the agent and van line levels. Michael Petersen, President & CEO of Bekins Van Lines stated, “We are fortunate to have an executive of Robert Martin’s caliber join the Bekins family. His wide range of industry knowledge and experience will enable him to reinvigorate Bekins sales and help us continue Bekins leadership position in the industry.” He added, “His management and sales skills are second to none”. Mr. Martin comes to Bekins from a competitive Van Lines where he most recently served as Vice President and General Manager. He has held several executive level positions in domestic & international moving as well as president of a midsize relocation company. His vast knowledge of national account and relocation markets will help Bekins continue to position as a major, high quality provider of choice in both the domestic and international relocation industry. As an affiliate of the California-based Move Management Group, ReloServe deals directly with van line agents in the New York/New Jersey area, providing origin and destination services to agents who, in the interest of keeping their salespeople selling, have opted to outsource such functions as visual surveys, quality control visits, and more. For details, visit www.reloserve.com. ReloServe managed to land two new accounts in the weeks prior to this rollout, so now that it’s officially up and running we’re expecting great things in 2008 and beyond! 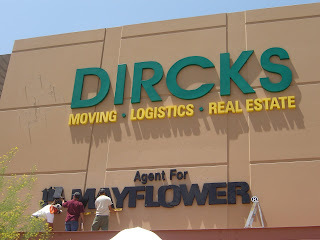 PHOENIX – Dircks Moving, Logistics and Real Estate will officially become an agent of Mayflower Transit beginning on May 1, 2008. Mayflower is part of the largest moving network in the world and is comprised of over 700 agents. “All of us at Dircks are thrilled about our new alliance with Mayflower. 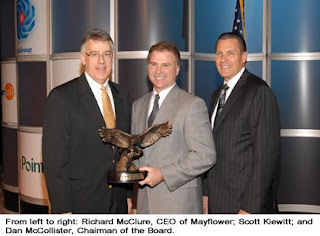 We’re grateful for our successful past and look forward to the future with Mayflower, working with our current clients and our potential new customers that this association will provide,” said Dircks Moving President Chip Dircks. With this new partnership, Dircks Moving becomes a stockholding Mayflower agent, the moving industry’s growth leader. Dircks Moving will hold a Mayflower launch party at their headquarters on May 9 for its customers and business partners as well as celebrate their 18 years in business. The Mayflower Hot Air Balloon rides will be featured along with appearances from members of the Phoenix Suns Dancers as well as the Gorilla. Dircks Moving is a proud partner of the Phoenix Suns. Mayflower Transit, founded in 1927, is one of the nation’s oldest and largest van lines and transports household goods, electronic equipment, trade show exhibits and displays, works of art and specialized freight, utilizing a network of 700 affiliated agents throughout the United States and around the world. Mayflower’s headquarters are located in suburban St. Louis. Further information about the company is available at www.mayflower.com. Dircks is a full service moving, logistics, and real estate company that specializes in the transportation and storage of household goods, computerized equipment, office and industrial equipment and other commodities. Dircks serves individual customers, as well as corporations and various government agencies in local, long distance and international moving, move management, storage and distribution projects. Dircks is an agent for Mayflower, the most recognizable name in moving, and Dircks founded RE/MAX Platinum which is part of the RE/MAX network that sells more homes than any other real estate company in the world. Brothers Rick and Chip Dircks founded Dircks in May of 1990 and have developed it into the most diversified moving company in Arizona. For more information, please visit www.dircks.com. 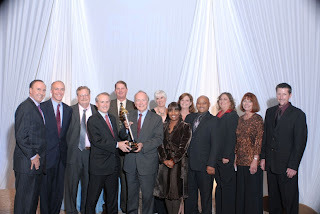 March 14, 2008 – Michael Petersen, President & CEO is proud to announce Bekins President’s Club Winners for 2007. The Bekins President’s Club sales contest recognizes Bekins top salespeople, achieving the highest percentage sales growth in Bekins household goods division or high value products/tradeshow division based on volume group categories. The contest runs for the entire calendar year and President’s Club Winners receive a travel certificate for a vacation of their choice, as well as a President’s Club trophy. Mr. Petersen stated, “We are fortunate to have such a terrific group of sales professionals representing Bekins. These salespeople have shown their commitment to Bekins and are the ‘best’ of the best”. The following are the Bekins President’s Club winners. 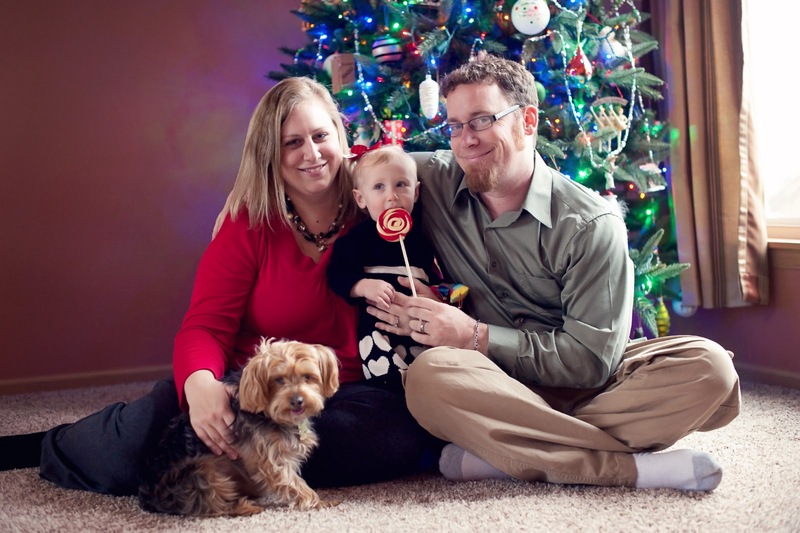 Business is booming for Worldwide Relocation Services in Smithfield, NC. In the month of March, they have already registered, booked and hauled more then they did in June of last year. They are currently 197% ahead of March and April of last year, and April is just starting. (at the time of this announcement) For their first full year as a Bekins Agent, they were the #2 National Account Booker in the Bekins System. They had the #1 Sales Person in all of Bekins System - Billie Jo McCullen. They are again a Performance Excellence Award Winner. PHOENIX – Dircks Moving, Logistics and Real Estate provided moving, storage and distribution services for the NFL’s Environmental Program following Super Bowl XLII and assisted the Phoenix Suns with boxes and delivery of canned food to New Orleans in honor of the 2008 NBA All-Star game. The NFL choose Dircks Moving to supply collection and storage services for several donated materials following various Super Bowl events including the big game itself. Items such as decorative and building materials, office supplies and other reusable’s were collected and will be distributed to several regional non-profit groups. Some of these materials will be reused while others can be used as fundraising auction items. “Running events while keeping the environment in mind is very important to the NFL. We are grateful to Dircks for donating their services to assist with this endeavor,” said Jack Groh, NFL Environmental Director. Dircks Moving, a proud partner of the Phoenix Suns, donated boxes used to collect non-perishable food donations at the Suns vs. New Orleans Hornets home game on February 6, 2008 and provided transportation of the boxes to Southwest Airlines at Sky Harbor Airport. Several Suns players loaded the boxes onto a Southwest Airlines flight headed to New Orleans on February 11, 2008. The food donation was made to the Covenant House New Orleans as part of the Sun’s community service initiative during the 2008 NBA All-Star Weekend. “Dircks enjoys the opportunity to work for causes that help our environment as well as those that assist the less fortunate. Behind the scenes, the NFL and NBA do wonderful work and we are always thrilled to be included”, said Executive Vice President Rick Dircks. In addition to the Suns, Dircks Moving partners directly with MLB’s Arizona Diamondbacks, ECHL’s Phoenix Roadrunners and Arizona State University Athletics. There are 450+ United Van Lines agents across the country. Most locations contain multiple salespeople. Only one person is chosen to receive the Sales Achievement Award. This is definitely an accomplishment to be proud of. Scott Kiewitt's proven sales track record not only contributed to the profitability of of his agency, but also to that of the van line. Congratulations to Jack Griffin who has recently been named President of the Atlas World Group International Company in Seattle, WA. You may most recently remember Jack as the Senior Vice President of Business Development for Bekins Van Lines. His other past experience includes working for Allied Van Lines and Allied International. As global relocations continue to increase, we wish Jack the best of luck on his new venture. March 20th marks the first day of Spring! The old saying about the month of March is "In like a lion - out like a lamb." If only that were true this year. Here in Illinois we are preparing to be slammed with another winter storm. While it is currently a beautiful 50 degrees, tonight's forecast includes temperatures in the low 30's and 1-2 inches of snow. Friday's forecast isn't any better - another 2-4 inches of snow, mixed with freezing rain. In fact 7 of the next 10 days will include snowy winter weather. Many of you are of course in other parts of the country where the weather is fantastic and winter jackets are a thing of the past. For those of you, perhaps the reality of spring is more apparent. From what we have been hearing from our clients, there is a big need to ramp up right now. We have countless job orders for operations managers, dispatcher, coordinators, and customer service specialists. While we have seen 2008 remain somewhat slow, it is definitely stronger than 2007 and we have great expectations for this year's busy summer season. Let us know what you think! How are you preparing for summer 2008? Lido Van & Storage was founded in 1973 with a single location in Irvine, CA. In February of 2008, this location was purchased by Nelson Westerberg. Currently, the company is still operating under the name of Lido Van & Storage as a wholly owned subsidiary of Nelson Westerberg. Nelson Westerberg is based in Chicago, IL with other locations in Atlanta, Dallas, and New Jersey. Being one of Atlas Van Line's largest hauling agents, this new west coast presence will connect the other offices from coast to coast. Chipman Relocation Sells their East Coast Facility! The announcement has been made official. Chipman Relocation (a United Van Lines agent with multiple offices in California) has sold their office in Upper Marlboro, MD!!! A couple of years ago Chipman purchased the MD branch from Greenmount United. Today, this branch is being sold to none other than, Ace Relocation. What's that you say? Ace Relocation already has a branch in Baltimore? (for you moving and storage history enthusiasts out there - Ace Relocation's Baltimore office was the original Ace World Wide Baltimore office!) No, Ace Relocation will not be occupying two facilities in MD. Rather, the lease is up on their original location in Baltimore and they have decided to move into the old Greenmount office. Chipman made this news public earlier this week to their staff, so we have decided to announce it to the rest of you. The good news is that many of the Chipman employees in MD will be picked up by Ace, thus not putting people on the streets as spring hits. Chipman will continue to concentrate on their west coast offices in CA, OR, and WA where they have years of positive successful history to build on. Good luck to Ace Relocation as they make their big move! Julie Brewer Smith is Back in Business! Today I would like to formally announce the beginning of my new venture. Today I would like to announce the beginning of Westbrook Consulting Services. Westbrook Consulting Services is a professional recruiting firm specializing in the placement of professionals in the household goods moving and storage industry. For the past 5 years, I have been recruiting in the household goods moving and storage industry. When I began my recruiting career in 2003, I worked for a company called The Myers Group based in Bourbonnais, IL. At that time, I was Julie Brewer. Many of you heard my voice on the other end of the line as I called around the country to get to know you, this industry, and how it all works. By 2006, I had seen much success in recruiting some of the country's most experienced and knowledgeable professionals and in placing those candidates with the nation's most influential movers. Through a lot of hard work and dedication, I learned as much as I could from each person I met either in person or over the phone. In May of 2006, I was married and changed my name to Julie Smith. It was also in May of 2006, that I went to work for Wilson-Gray based in Roswell, GA. I was most pleased with the opportunity to join Wilson-Gray and work directly with my strongest competitor, Mark Gray. Just 4 short months into my employment with Wilson-Gray, Mark decided to take a positive step in his career by reopening his own business, Movers Search Group. I stayed with Wilson-Gray as the company transitioned to Canton Street. It was with a heavy heart that I decided to resign from Canton Street at the beginning of 2008, but it was with much enthusiasm that I leapt forward in creating Westbrook Consulting Services. As I now work as a sole proprietor, I can honestly say that I haven't missed a beat. I am enjoying more than ever the chance to prove my abilities as one of the nation's most knowledgeable, ethical, and professional recruiters. While I make this formal announcement today, I have been working for the last few weeks and have been truly humbled by the number of people who have reached out to me to not only congratulate me, but also to ask me for help in recruiting for them. I am extremely gratified for the support I have been shown already and I am excited to move forward with my career. I look forward with much anticipation to hearing from the rest of you out there who may have been looking for me over the past few weeks. Without further ado, I would like to provide you with all of my new contact information. Please pass this contact information on to anyone else that you know in the moving and storage, third party relocation, or logistics industry. Please check out the new website and let me know what you think of it. Bookmark this blog and check back often. This is a place where I will post industry news, events, photos, and articles. If there is anything you would like posted here, just email me and I will put it up for you. Notice that as you read posts here you are able to leave comments pertaining to each post. If there is a link that you think is worthy of adding to this blog, just send it over to me. While I have been busy starting my business, taking care of administrative functions, designing the website and blog, and creating a company logo, I have still managed to find time to recruit! Now that everything else is in place, I will be spending all of my time recruiting. If you are interested in hiring someone for your company, please give me a call or send me an email. No matter what your needs are, there is way that I can help provide a solution for you. If you are thinking about making a career change, we should talk! Here is a partial list of jobs I am currently recruiting for. If you or someone you know might be interested in one of these positions, please contact me directly at 708-946-1300. Remember that this is just a partial listing. If you would like to discuss other confidential opportunities, please call me directly. Once again, I would like to truly thank each and every one of you for the support your have shown me in making this career change. Without the encouragement from my husband, family, friends, associates, competitors, and from you this would not have been possible. With nothing to hold me back any longer, I am confident that my effectiveness as a recruiter for the HHG moving and storage industry will continue to improve. Thanks again, and I look forward to working with you! Congratulations to Joe Stephenson and Brian Huff. Stephenson is the new Operations Manager for Graebel Northeastern Movers, the tri-state moving and storage facility based in Randolph, NJ. Brian Huff is the new Operations Manager for Graebel Eastern Movers located in Moorestown, NJ serving the greater Philadelphia area. Martin G. Lesko and Elaine M. Valentine have been named Man and Woman of the Year for 2007 by UniGroup, Inc., the parent company of United Van Lines, Mayflower Transit, and other transportation-related companies. The announcement was made by Richard H. McClure, president and chief operating officer of UniGroup. Lesko and Valentine were selected on the basis of professional performance and contributions to the achievement of corporate and departmental goals. The company has honored a Man and Woman of the Year annually since 1969. 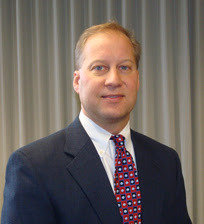 Lesko joined the company in 1991, as a loss control specialist. Prior to being named to his current position as director of loss prevention, he held progressively responsible positions within the company, including supervisor and manager of loss prevention. Lesko holds a bachelor’s degree in criminal justice from St. Louis University and a master’s degree in business from Webster University. He is also a member of the American Society of Safety Engineers. 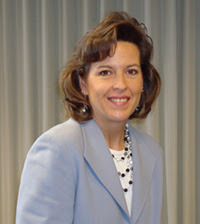 Valentine began her career at UniGroup in 1993. Prior to being named to her current position as project manager, Valentine held progressively responsible positions within the company’s IT department. Valentine holds a bachelor’s degree in computer science from St. Louis University. Jim Stamm completed his transition into the top spot at Evansville, IN-based Atlas World Group Inc., on Jan. 1. In 2006, Stamm assumed the role of vice chairman and CEO of Atlas World Group and Atlas Van Lines. Following the retirement of long-time leader Mike Shaffer on Dec. 31, 2007, Stamm was promoted to the role of chairman of the board of Atlas World Group. He remains CEO of Atlas World Group and Atlas Van Lines. As chairman and CEO of Atlas World Group, a nearly $1 billion company, Stamm is ultimately responsible for Atlas World Group and Atlas' subsidiary companies, including Atlas Van Lines, Inc., its largest subsidiary, together with leading the board of directors. Stamm's climb to the top has been 20 years in the making. The Fort Wayne, Ind. native has held leadership positions within the company since joining as president of Atlas Van Lines' Specialized Transportation Group in 1987. He was named president and chief operating officer of Atlas Van Lines in 1999 and of Atlas World Group in 2004. Here is an excerpt from an interesting article written by Simon Bailey, discussing how to capture the hearts and minds of employees. "....Employees today are being asked to do more with less. The good news is they are more willing to go the extra mile when they know their hard work is respected, valued, and sincerely appreciated by management. They're just showing up for a paycheck and waiting for the economy to rebound so that they can find work at another company. That means that 20 percent of the people you work with are carrying the load for the 80 percent who are just showing up every day....."
Feb 6 - 8: Allied Van Lines Convention - Sawgrass Mariott Resort & Spa - Jacksonville, FL email Brooks.Popowitch@alliedvan.com for information. IT'S NOT TOO EARLY TO START PLANNING FOR THE AMSA ANNUAL EDUCATION CONFERENCE & EXPO IN ORLANDO,FL - This year the conference will be held April 1 - 5 in Orlando, FL at the Omni Orlando Resort at Championsgate. E-mail mmorgan@moving.org for information! CENTENNIAL, CO—Johnson Storage & Moving Co.-agent of United Van Lines, the nation’s largest moving company- is pleased to announce that Julie Johnson has been named as a new member to the 2008 Rocky Mountain Relocation Council (RMRC) Board. “I have been a member of the RMRC for 10 years and I am thrilled to join the Board,” said Johnson. Johnson has held the position of Vice President of Sales & Marketing at Johnson Storage & Moving Co. from 1998 to present. Her term on the RMRC Board expires in 2010. CENTENNIAL, CO—Johnson Storage & Moving Co.-agent of United Van Lines, the nation’s largest moving company- is pleased to announce they have been named the winner of the Denver/Boulder BBB 2007 Torch Award for Marketplace Ethics. 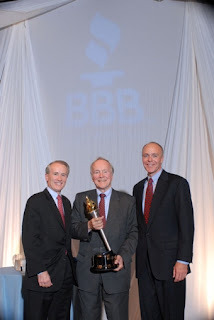 The award highlights the BBB’s undertaking “to promote and foster the highest ethical marketplace relationships.” There is just one Torch Award winner because the BBB “believes that amid our diverse and growing regional business community, there is a core belief in building relationships based on trust.” This award reflects the work of the Johnson Storage & Moving Co. locations of Centennial, Denver and Longmont for overall business in the Denver/Boulder area. For more than 100 years, the Johnson family has been in the transportation business. The firm is now owned and operated by fourth generation family members; Mark Johnson & Jim Johnson. Since its founding in Denver in 1900, the company has expanded to nine locations in five states. (pictured from left to right): Mark Johnson, Don Johnson, Jim Johnson. DENVER, CO and LIVERMORE, CA -- Bekins A-1 Movers, Inc., headquartered in Pennsylvania, with 20 branch locations throughout the United States, and Smart Move, Inc., a Denver, CO based logistics company today announced a strategic alliance to help Bekins A-1 Movers, Inc.'s new Chronos division deliver an exciting new service for its customers. In a unique partnership with Smart Move Inc., (Amex: MVE - News), Bekins A-1 Movers, Inc. is making an innovative alternative method available to its customers for transporting household and commercial goods securely and quickly through containerized shipping. Utilizing Smart Move’s proprietary GPS-enabled shipping container, the SmartVault™, this containerized shipping model increases the strength and flexibility of the already robust service offerings of the Bekins A-1 Movers, Inc. companies. Smart Move uses its proprietary logistics software and the strengths of its primary transportation providers to deliver the vaults on a guaranteed time basis. "Smart Move's alliance with Bekins A-1 Movers, Inc. has resulted in an innovative product offering using the SmartVault™ and Smart Move's logistics model and expertise. The new Chronos division being launched by Bekins A-1 Movers, Inc. is further evidence of how important industry partners are to Smart Move's business vision. By leveraging their areas of expertise, assets and infrastructure, Smart Move and Bekins A-1 Movers, Inc. have developed a cost effective solution where customers win." The Chronos model of business offers specific competitive advantages over other methods of long distance transportation. Security, scheduling flexibility, expedited service, and ease of use are the backbone of the program. This service is unlike anything else in the industry. Each Bekins A-1 Movers, Inc. /Bekins Moving Solutions branch location will be introducing Chronos and the roll out should be completed in January of 2008. Smart Move is an innovative logistics company providing services through deployment of a fleet of Company-owned, GPS equipped SmartVaulttm shipping containers to execute the movement of goods. Smart Move utilizes its proprietary and licensed technologies to efficiently manage its fleet of assets, providing superior security, scheduling flexibility and expedited service on behalf of its customers and alliance partners. Smart Move sales it services direct to moving consumers as well as providing moving capacity and guaranteed logistic services to van lines and agents nation wide. Bekins A-1 started in 1936 in Wilkes Barre, PA it has grown to become Bekins Van Lines' largest agency family with 19 full-service locations around the country. Bekins A-1 Agency Family of Movers have developed a proven commitment to service excellence for their customers. With offices strategically located around the country, their well trained professional team of some 500 employees can service many moves beginning to end. Bekins A-1 Branches Include: Ace Moving & Storage (Harrisburg and Wilkes Barre), BekinsA1 Movers (Washington), BekinsA1 Movers of Atlanta, Bekins Moving Solutions (Dallas, Houston, Los Angeles, and San Diego), Gates Moving Systems (Sarasota), Legacy Worldwide Moving & Storage (Palm Springs), National Moving & Storage (Las Vegas), Pinnacle Worldwide Relocation (Chicago), Tri-Valley Worldwide Moving & Storage (San Francisco). DISCLOSURE NOTICE: The statements in this news release that are not historical statements, including statements regarding expected benefits of the product, adoption by customers, continued innovation and other statements identified by forward looking terms such as “may,” “will,” “expect,” “plan,” “anticipate” or “project,” are forward-looking statements. These statements are subject to numerous risks and uncertainties which could cause actual results to differ materially from such statements, including, among others, risks relating to developments in the moving industry, competition and risks of failure to obtain consumer acceptance of innovations. Smart Move has included a discussion of these and other pertinent risk factors in its Quarterly Reports on Form 10-QSB most recently filed with the SEC and disclaims any intention or obligation to update or revise any forward-looking statements, whether as a result of new information, future events or otherwise. LIVERMORE, CA-- Bekins A-1 Movers, Inc., headquartered in Pennsylvania, with 20 branch locations throughout the United States, announces an exciting new service for their customers. In a unique partnership with SmartMove Inc., a Colorado-based company, Bekins A-1 Movers, Inc. is launching an alternative method for transporting household and commercial goods securely and quickly through containerized shipping. Utilizing SmartMove’s proprietary GPS-enabled shipping container, the SmartVault™, this containerized shipping model increases the strength and flexibility of the already robust service offerings of the Bekins A-1 Movers, Inc. companies. The logistics of the program are handled by SmartMove’s primary transportation provider, UPS Freight. For more information, please contact 800-473-9197 or email sales@movechronos.com. Shortly each Bekins A-1 Movers, Inc. /Bekins Moving Solutions branch location will receive a Chronos roll out package which outlines, in detail, all of the working aspects of the program. I am pleased to announce that the Westbrook Consulting Services website has been launched and is up and running. Please take some time to visit it and share your feedback with me. The web address is www.westbrookconsultingservices.com Make sure to bookmark both the company website as well as this blog so you can check back often for updates and to read the latest news. Here is the new logo for Westbrook Consulting Services! What do you think? Let us know! If you are in the market for a new logo for your company, I highly recommend using "The Logo Company" based in New York. They were easy to work with and provided many options. With a very reasonable pricing schedule they can develop your new logo, and create other marketing materials in less than one week! Welcome to Westbrook Consulting Services' Blog. This blog has been designed to share information with the moving and storage industry. You will see articles, pictures, events, and announcements posted here on a regular basis. There is also a place for you to leave feedback and share your thoughts on each post - whether you are a registered blogger user, or wish to be anonymous. All posts will be moderated through the Westbrook Blog owner before they are publicly posted. If you wish to add your business to our link list on the right hand side of the blog, just send an email to blog@westbrookconsultingservices.com and we will review your request and respond within 24 hours. As this blog is to serve as a resource for the moving and storage industry, we will welcome any links that may be useful to movers. If there is an article or announcement or even a picture that you would like posted, just email it to us and we will post it within 24 hours. At the end of each month, all of the posts will be archived but will remain accessible through a link on the right hand side of this page. Thank you for visiting the Westbrook Blog. We hope that this will be a useful tool for the Moving and Storage Industry.